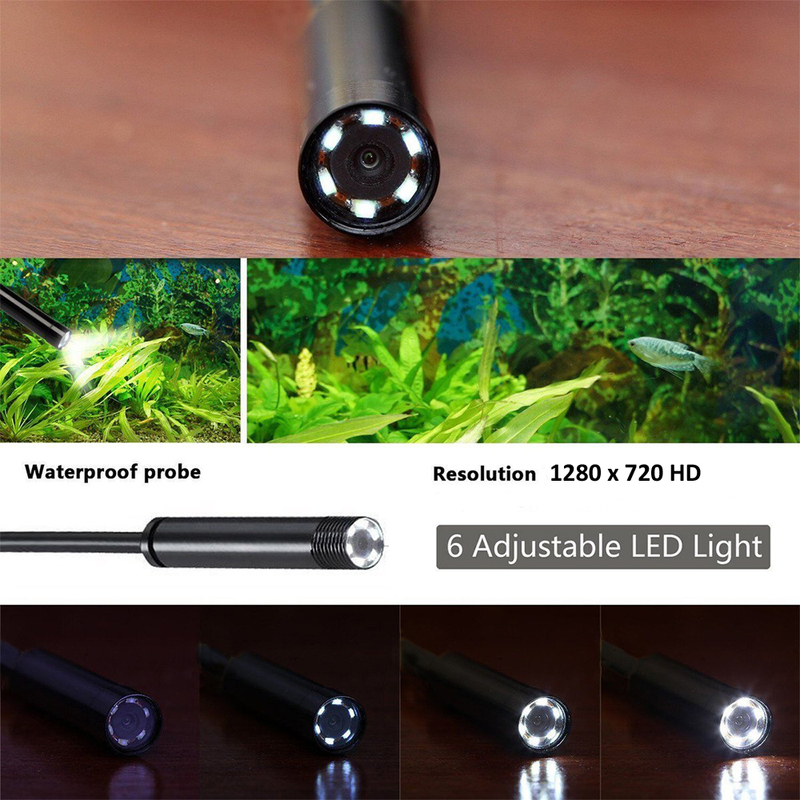 Introducing the 1 Meter WiFi Wireless Waterproof Borescope Endoscope Inspection Snake Camera - Your Extended Eyes & Hands! This great device allows for easy visual inspections in hard-to-reach areas. Lightweight, handheld, and portable design allow to easily find, diagnose, and solve problems with the flexible USB cable & Adjustable 6 LEDs light. This WiFi Inspection Camera makes use of optoelectronic technology to investigate hard-to-reach areas. It helps you to diagnose broken parts, weld points, locate blockages, and release parts more easily to save time and increase productivity. The metal camera head is more durable than ever and now waterproof and heavier for easy downward inspections. You connect to the WiFi Borescope via an APP from your phone, and live view and review videos or pictures that are taken. This inspection camera has many applications including HVAC inspection, machine equipment, engine diagnostic, cable routing, automotive and general household inspections.